While certainly not the first of its kind, it looks as though Sony might be putting a new smart lock on the market. The massive electronics company will be looking to crowd-fund its new Qrio Smart Lock project on Makuake. While it may seem odd to some for such a large company to use crowd funding, most believe this is just a way for Sony to get feedback on the new Qrio, not necessarily a way to fund it. You might remeber when the company did something similar with its e-paper watch project. 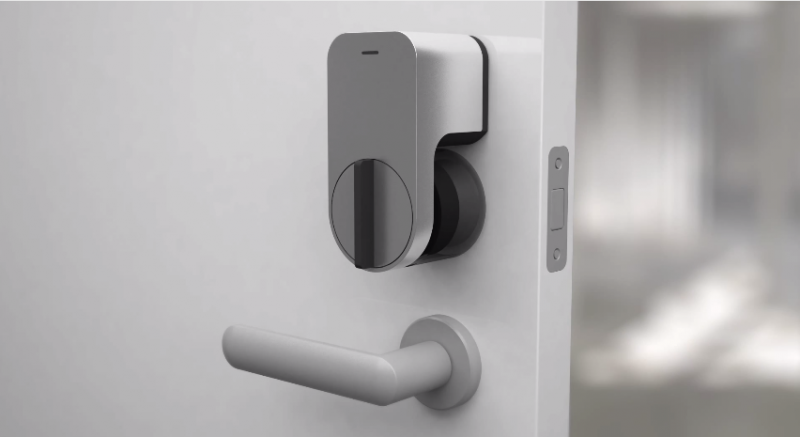 The smart lock is an add-on for existing fixtures and features user customized entry keys, allowing you to open the lock with nothing but a smartphone. By the sounds of it, a Qrio owner can create a number of encryption keys, including those for one-time use, and then send them to friends and family via popular messaging services like Facebook and LINE. As previously mentioned there are many other smart locks out there like the Kwikset options, Goji, and others, but Sony’s certainly has a minimalist look that will likely appeal to some people. Having said that, many suggest that using locks of this nature on your front door, never mind passing encryption keys around via Facebook, might not be the safest option.